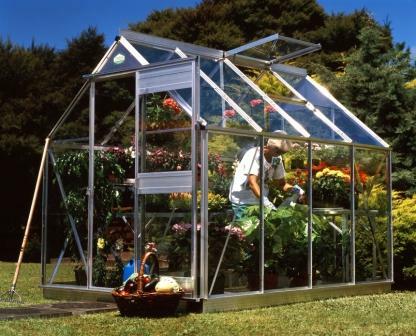 Eden Glasshouses are proven for over 40 years ! 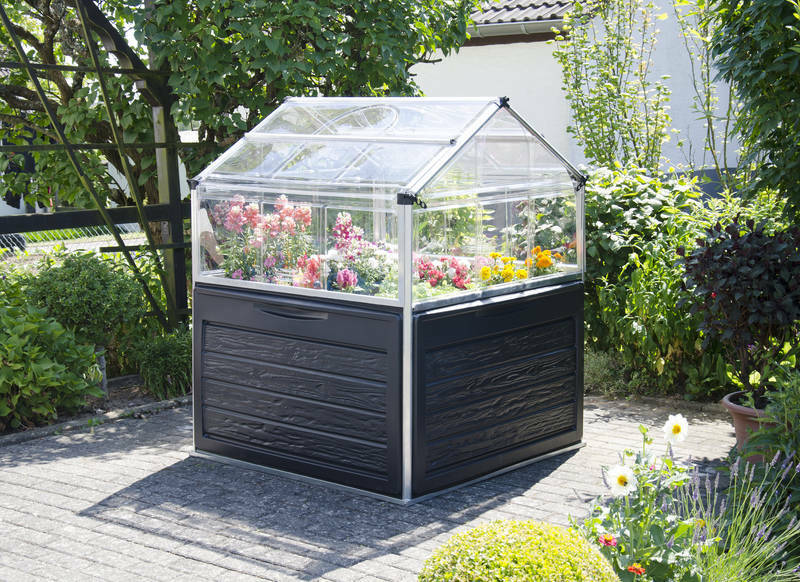 Have you ever wanted to grow a wider variety of plants, flowers, vegetables and fruits irrespective of external climatic conditions? 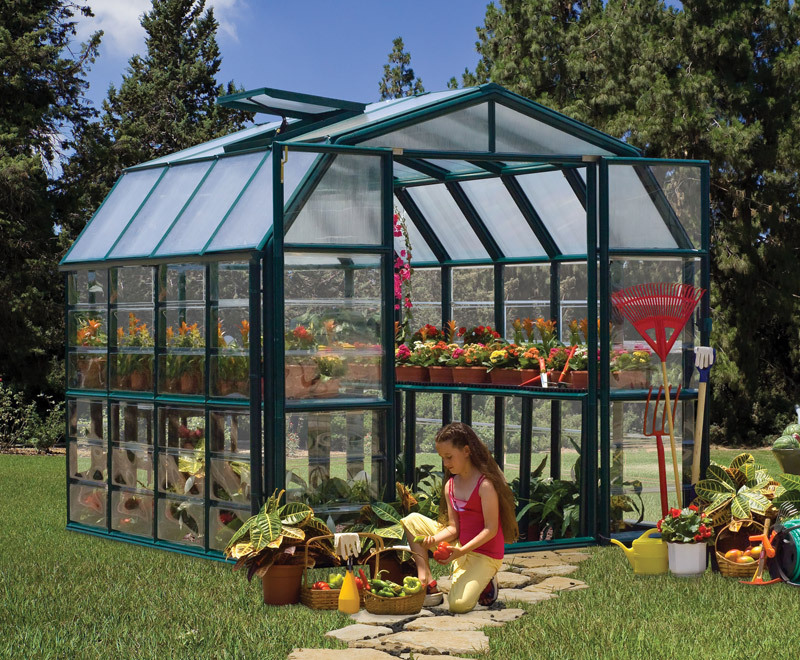 Glasshouses enable you to cultivate flowers, fruits and vegetables during any season. 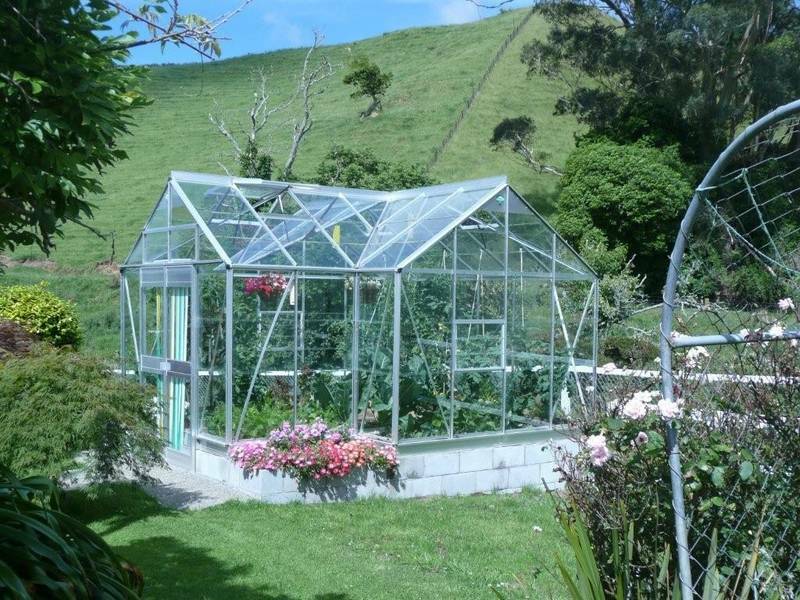 We understand the hardship of growing outside in New Zealand’s unpredictable weather conditions – the cold, the rain, the frost, the wind, the hail, not to mention the birds and the insects. They can all wreak havoc at every stage of plant growth and sabotage your diligent efforts, delivering less than desirable results. Glasshouses make bringing on your own seedlings, cuttings and food possible at a fraction of the cost of buying them – and with more satisfaction in the process. Well arranged Glasshouses will enhance your garden with a colourful display and becomes a landscape feature in its own right. 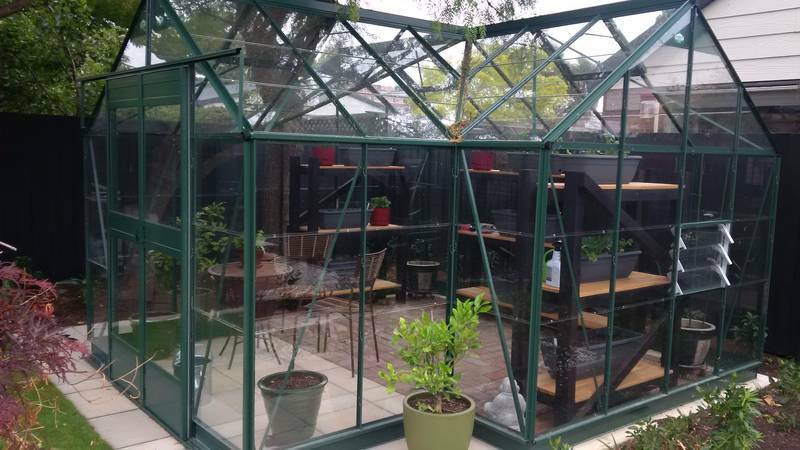 WHY BUY AN EDEN GLASSHOUSE? Strong, slimline aluminium frame with unique custom design. to withstand the most rigorous conditions. • quality aluminium extruded in NZ. Full length aluminium gutters – no draughty air gap at eaves and allows catchment of pure rain water. every last ray of sunshine. 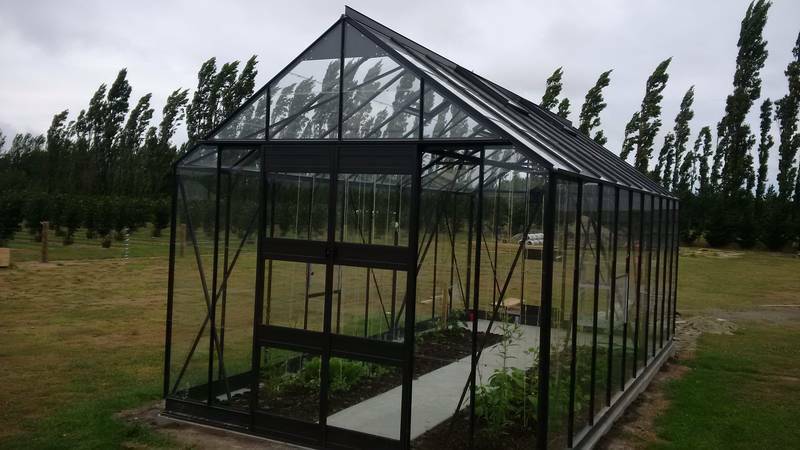 Glazed in glass - timeless, rigid, optically superior, high light transmission, allowing solar heat energy trapping re-emitted warmth from soil, structure and plants. Will not scratch and aesthetically pleasing. Glazing options available: 3mm, 4mm, Toughenend Safety glass. 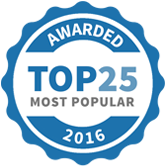 Edenlite Ltd has been selected as one of our Most Popular Home Improvement Specialists! Although it's nearly the end of January, we have some exciting news to kickstart 2019... Firstly, we'd like to introduce you to the all-new Eden Bespoke Range. 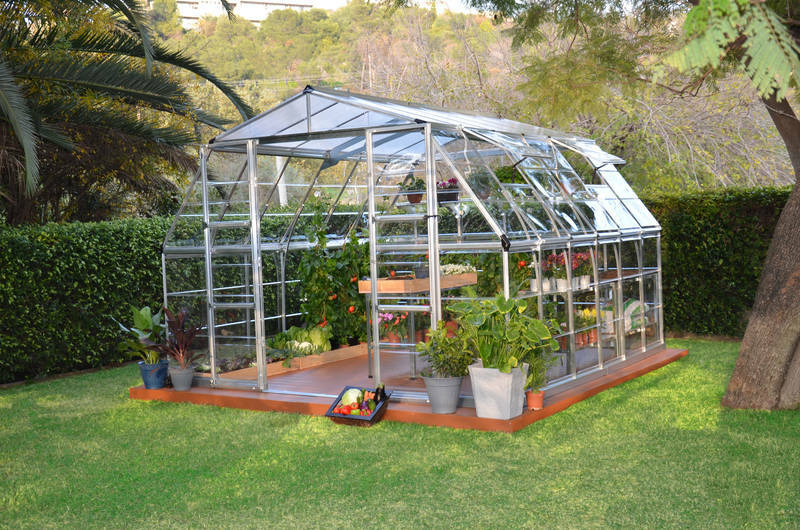 As the pioneers of the modern aluminum glasshouse, Eden strives to provide the latest modern initiatives to the customer. Our new Bespoke Range combines the superior quality of the Eden design with the latest in outdoor living to provide you with the ultimate garden retreat that lives up to every customer's unique specifications. Stay tuned for new Bespoke releases throughout the year that will bring your landscape to life. Click on the link below to view the seasonal Summer Evening Oasis package. Eden Bespoke Evening Oasis: https://edenlite.co.nz/eden-evening-oasis-summer-package/ Check it out now and let us know what you think! As well as this, we're running an initiative that we're very excited about – Eden referrals. 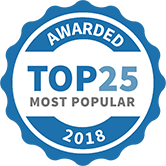 If you refer us to your friends or anyone who is thinking about buying an Eden glasshouse or greenhouse before February 28th, you’ll both be given a $200 Eden voucher free of charge if they purchase an Eden glasshouse/greenhouse off us! Furthermore, you will be able to get a $100 voucher each if your friend orders any time after the 28th of February. When your friend purchases, don't forget to remind them to mention your name so you can claim your prize. Also, prizes are not limited, so refer as many friends as you can to win even more! So share this with anyone you think fits the bill and remember to let them know what’s in it for them. Good luck and all the best from the team at Eden!